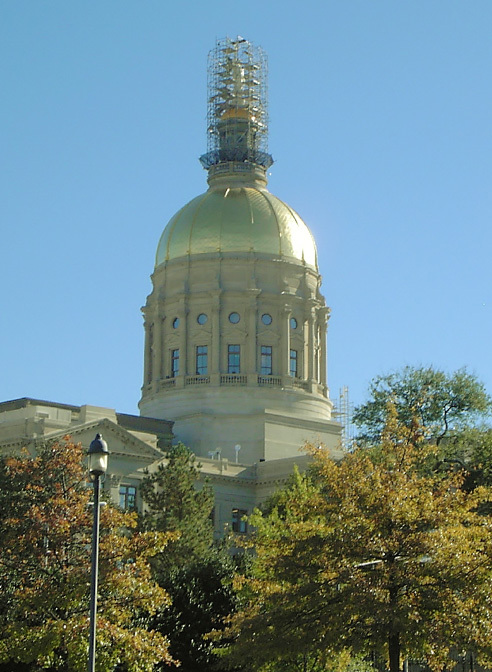 The Miss Freedom statue in Atlanta Georgia sits atop the state capitol building, looking over the entire city of Atlanta. 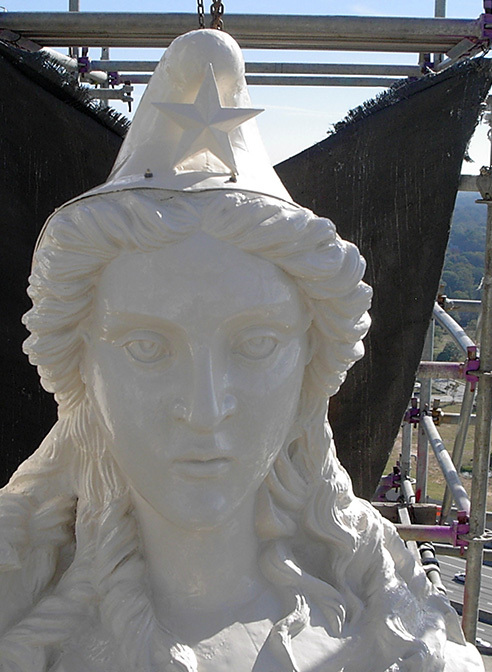 The statue was first seen by the public in 1889, and is actually a bit of a mystery, as there are no official records of where she came from, who named her, or what her original name actually was. 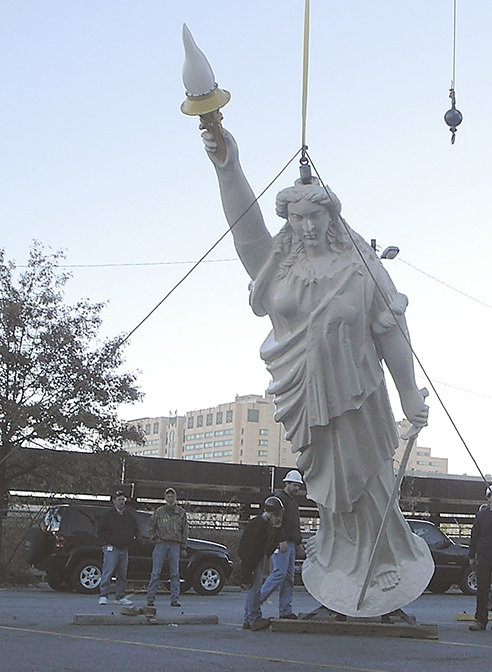 Heather & Little was one of three contractors who made the prequalification to bid on the statue repair project, and was happy to be open to work alongside Winter Construction and Lord Aeck Sargent Architects both of Atlanta, GA to restore Miss Freedom statue back to her original glory. 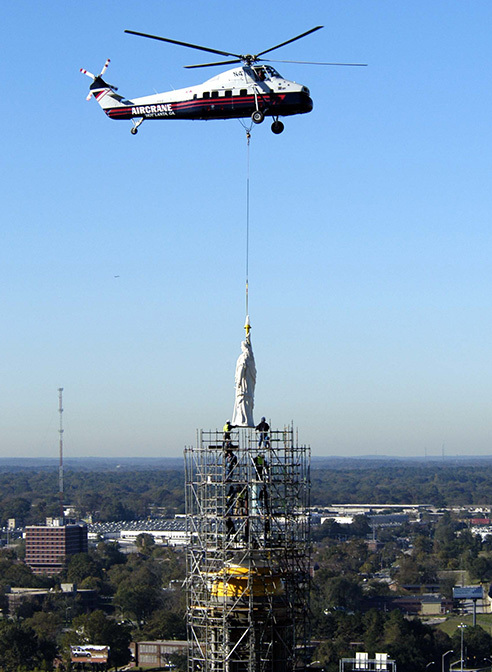 Heather & Little were contracted to perform the removal, extensive restoration and responsibility of returning her safely home once the restoration was completed. 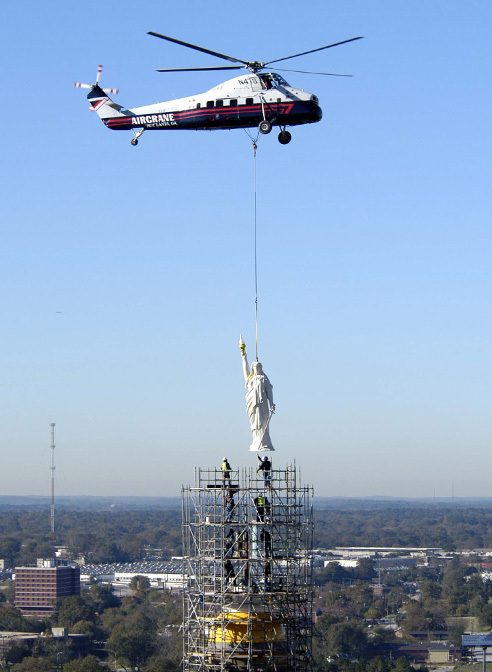 This copper statue weighs in at about 1,250 pounds, a plan was originated to “fly” her off her perch by helicopter which took days of extensive planning to ensure the removal went flawlessly. 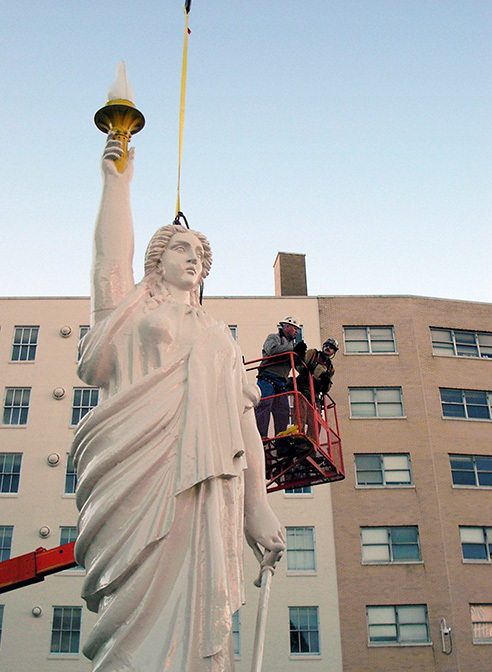 Once removed, and landed on the ground a crane was used to set her on a flatbed to be transported to our shop. 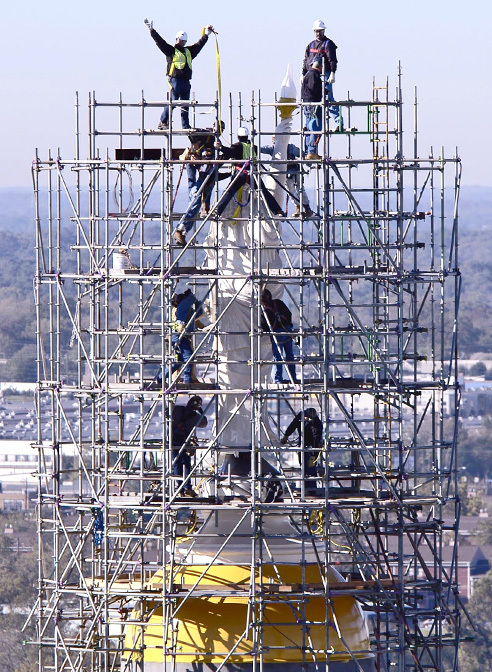 The restoration projects included reforming new copper parts for missing, damaged, or poorly repaired parts of the body. 24-ounce copper sheets were used for the new and restored parts to ensure the best durability and metal quality. 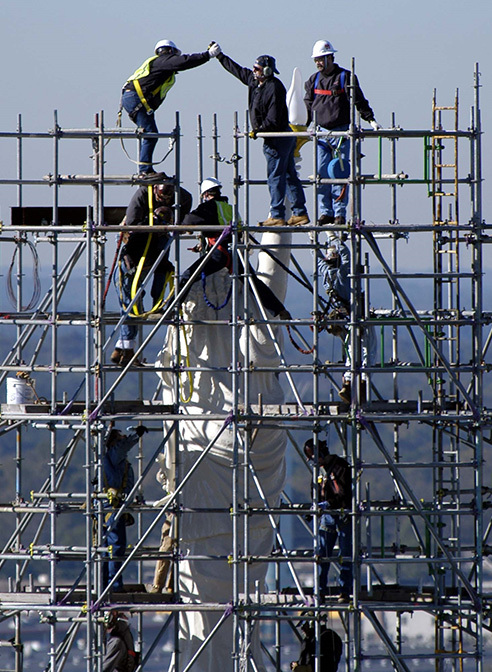 All layers of paint that covered the statue were stripped, and a new five coat “TNEMEC” paint system and clear coat was added.